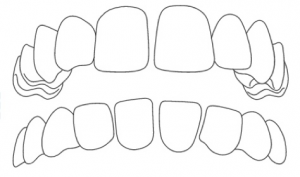 For a long time the only way to straighten teeth was with traditional fixed braces using metal brackets and wires. Patients often referred to these as ‘train tracks’ and didn’t like the idea of wearing them. In the last 15 years technology has advanced and almost invisible braces can now be used. The most proven of these systems is Invisalign®. 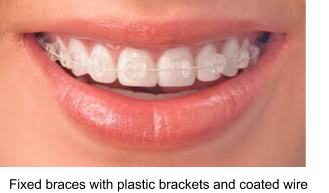 We also offer braces using the Cfast system. 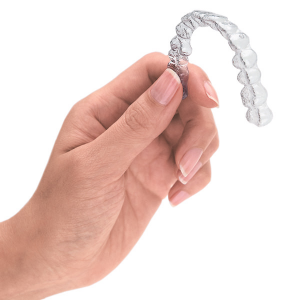 Invisalign® is a clear brace system which uses a sequence of computer designed aligners made from durable BPA-free plastic to gradually move your teeth by applying pressure in precision locations. Detailed impressions of your mouth are taken which are then scanned into a 3D modelling software. Using specific parameters for tooth movement and detailed experience gathered from over 5 million cases, a unique set of movements are planned to straighten your teeth. These movements are then broken down into stages and 3D printing is used to create individual aligners to carry out the planned tooth movement. Once these aligners have been created you will visit your Invisalign® Dentist to have the aligners fitted and your progress will be reviewed periodically. How long does it take to straighten my teeth with Invisalign®? Invisalign® on average takes between 20 to 30 aligners to straighten your teeth. These are changed approximately every 2 weeks. This gives an average treatment time of between 9 to 12 months. Each case is individual and to get a more accurate idea, we would advise you to contact us for a consultation. When first starting any orthodontic treatment there will be minor discomfort due to the pressure applied to move your teeth. You may find eating at first slightly slower due to the slight discomfort. This usually lasts only a few days after fitting your new aligners. Over-the-counter pain medication such as paracetamol or ibuprofen will provide relief against this discomfort. There are certain advantages with each brace system. It is important to understand these before embarking on treatment. In this section we will discuss Invisalign® vs other braces and the advantages and disadvantages of clear braces and fixed braces. They are more attractive than metal braces and are almost invisible. More comfortable than fixed braces as they are smoother and less likely to catch your cheeks and tongue. Can be removed to clean your teeth more easily than with fixed braces. Tooth movements modelled in 3D so you can see the approximate anticipated result. Can feel more gentle than fixed braces as the movements are smaller and more frequent. Patients need to be motivated to keep aligners in place for 22 hours per day. Aligners need to be removed for eating and teeth must be brushed before putting them back in, this makes snacking difficult. Clear aligners are not suitable for patients who require more extensive, severe tooth movement. 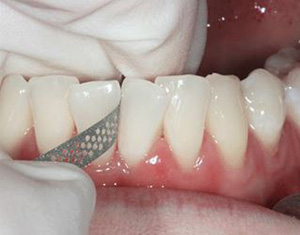 Attachments (made from small amounts of white filling material) are sometimes required to be placed on the teeth for the duration of the treatment. These attachments make the braces slightly more visible. The attachments are always removed by the end of treatment. These systems utilise brackets which are bonded to the teeth for the duration of treatment. Onto these brackets, titanium or stainless steel wires are tied in place using small elastic bands. Patients don’t often like the appearance of fixed braces. 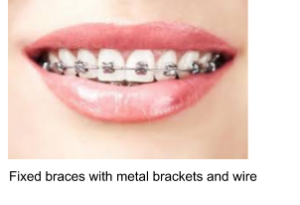 Can be more uncomfortable than clear braces. 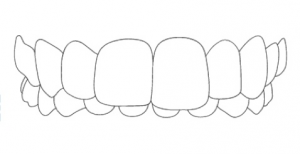 Who is Invisalign® suitable for? It is difficult to answer this question without having a consultation. Please contact us for an assessment. This is when the teeth aren’t quite in the perfect alignment and need a number of movements to bring everything into line. 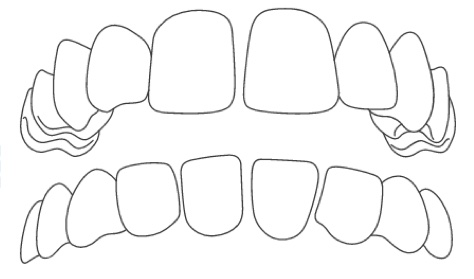 Where the top teeth overlap the lower teeth a little too far and have been pushed forward. 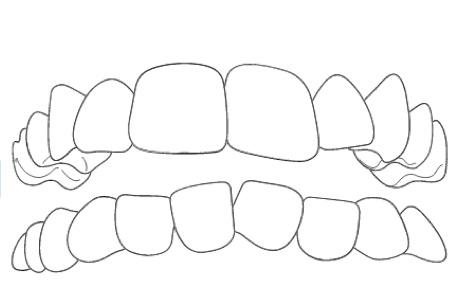 This is sometimes corrected by moving the bottom and top teeth into line. Where the bottom teeth overlap the top teeth. This is sometimes corrected by moving the bottom and top teeth into line. This is when there are gaps between the teeth that need closing. 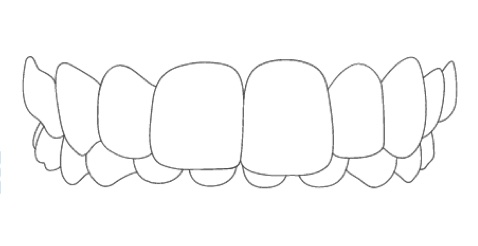 This is corrected by bringing all the teeth closer together. Who is Invisalign® not suitable for? Again, it is difficult to answer this question without having a consultation. Broadly speaking, treatment is only suitable for people when they only require mild or moderate corrections to their teeth. There is a smile assessment tool which may be useful in determining if you are suitable. Please contact us for an assessment at the practice. First you will have an assessment of your teeth by a dentist. This includes a checkup if you aren’t a patient at our practice. Your needs and what you would like to change with regard to your teeth are discussed. Following this, if you are suitable and decide to go ahead with treatment impressions are taken of your teeth and sent to the laboratory. After the impressions of your teeth and have been scanned a treatment plan will be formed. This is referred to as a ClinCheck®. Your dentist will work closely with Invisalign® to optimise your treatment plan. When this is ready the number of aligners and stages will be identified. You will receive a ClinCheck® showing the anticipated movements of your teeth. 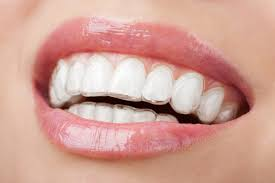 Once we have received your aligners, we will make arrangements to fit them. Sometimes you will be given a number of aligners and instructed on when to change them. Each one is numbered on the pouches they are delivered in and also printed on the aligner itself. Your progress will be reviewed with your provider roughly every 2-6 weeks. At these appointments, your progress will be reviewed alongside the ClinCheck®. Sometimes small tooth adjustment is required to create space. This is the process where up to 0.5mm of enamel can be removed from each surface of the tooth, this allows further space for your teeth to be aligned. This is known as interproximal reduction. This interproximal reduction is done with thin abrasive strips most commonly. This process is painless and doesn’t require any local anaesthetic. Here is the British Orthodontic Society information leaflet on interproximal reduction. Once you have reached the end of your treatment, it is really important to plan how we are going to hold the teeth in their new position. Usually teeth want to move back to their original position. 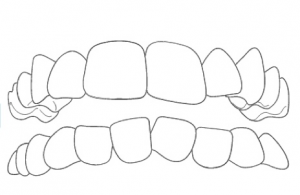 Retainers hold the teeth in place so your teeth do not move back to their original position (also known as relapse). You will require life-long retainer use to ensure you keep your teeth in their new positions. Retention can either be removable, fixed or commonly – both may be required. Your Invisalign® Provider will discuss which options will be used and which would be the best on a case by case basis. Invisalign® have their own system of retainers, Vivera Retainers® to hold teeth in their new position. These can be added to your treatment plan from the outset. You will be advised by your Invisalign® provider how often you should be seen for a review and check-up following your treatment. Here are a number of before and after pictures of patients which our Invisalign® Providers at the Vallance Dental Centre have treated. Each treatment plan is unique with its own individual complexity. As such, it is hard to give an exact price without a consultation. At The Vallance Dental Centre our prices start from £2500 for a single arch case, or from £3500 for a dual arch case. Additional costs may be required for retainers, fixed and/or removable. At the Vallance Dental Centre we include tooth whitening for free at the end of your Invisalign® treatment. See our price list Here for detailed information on the cost of all brace options. 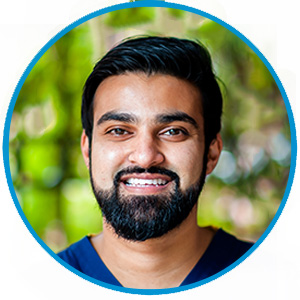 Dr Skidmore has been practicing as a Dentist since 2014 and has completed a 2 year postgraduate diploma through Simply Endo and the University of Chester. He is currently carrying out a research project for the award of masters in the subject. Additionally, Jonathan is a member of the royal college of surgeons of Glasgow and has also completed his Invisalign® brace training. 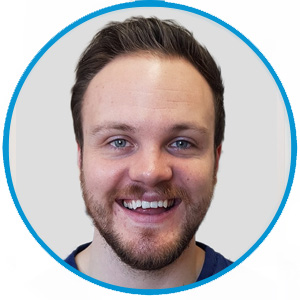 Jonathan is a Dentist with a Special Interest in Endodontics and Invisalign® and as such is able to offer a high standard of treatment for patients. He takes referrals at 3 practices across the North West exclusively in the field of Endodontic Treatment and Invisalign®. Dr. Arfeen Aslam graduated from Guy’s, King’s and St Thomas’ School of Dentistry, King’s College London and obtained his membership of the faculty of the Royal College of Surgeons in 2012. He has completed various postgraduate dental courses including a one year certificate in advanced aesthetic and restorative dentistry, followed by gaining recognition as a fully certified provider of a wide range of orthodontic treatments providing both fixed and removal cosmetic braces solutions. Arfeen has completed a year long programme in implant placement. He has a real passion for this field of dentistry. Arfeen takes real pride and pleasure in his work. Along with a caring, ethical approach he strives to make a difference to each and every person that he treats. In recognition for the treatments he has provided, Arfeen won the prestigious Private Dentistry award as the Best Young Dentist North 2018. Please see our contact page to find out how to contact us for a brief free no obligation assessment for suitability with one of our Invisalign® providers. A detailed consultation at £50 will be required once you decide to go ahead with treatment and this will be deducted from the final price.